Appalachian Ski Mountain: OPENING DAY for 2012-13 season 9 AM - 10 PM . 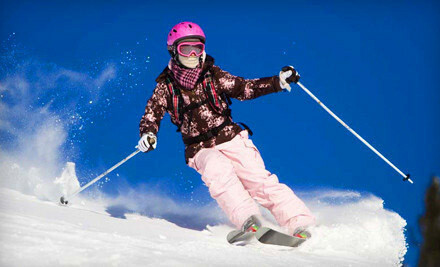 Beech Mountain Ski Resort: OPENING DAY day for 2012-13 season with 5 slopes, 4 lifts on a base of 14-30 inches.9 AM - 10 PM. Cataloochee Ski Area: OPEN with 7 slopes, 2 lifts on a base of 14-38 inches. 9 AM - 4:30 PM. The Sapphire Valley Ski Area: Opening Opening day for 2012-13 season currently set for December 15. Sugar Mountain Ski Resort: OPEN with 5 slopes, 2 lifts on a base of 13-40 inches. Ice Skating is OPEN ofr session from 10 AM - 6 PM. Snow Tubing is OPEN with sessions from 12 PM - 6 PM. Wolf Ridge Ski Resort: 2012-13 opening day not yet announced. Get links for details about all the NC ski resorts and areas on the NC Ski Resort Guide. December 1-3 Appalachian Ski Mountain will be celebrating its 50th anniversary by rolling back ski ticket prices to the original 1962 price of $5. This anniversary ticket price is available for daytime ski sessions from 9 AM to 4 PM all three days. Appalachian is family-owned and operated, employing a staff of 300 to provide a service-oriented "club" like atmosphere. Appalachian offers twelve slopes including two terrain parks serviced by one double chairlift, two quad chairlifts, two conveyor lifts (new in 2010) and one handle-pull lift. The base lodge covers 46,000 square feet, is smoke free, and has complimentary WIFI in the restaurant. ASM is located at 940 Ski Mountain Road in Blowing Rock NC. The 2012-13 season is scheduled for November 3 2012 - March 24 2013. Learn more about Appalachian Ski Mountain and NC skiing on the NC Ski Resort Guide. November 30 - Beech Mountain Resort opens for the season with 5 trails, 4 lifts and a base of 14-30 inches. Operating hours are 9 AM - 10 PM. Beech Mountain is Eastern America's highest ski resort at 5506 feet above sea level. With excellent skiing (day or night), and a charming Alpine Village filled with intriguing shops, tempting restaurants and more Ski Beech offers a winter wonderland of fun and activities for all members of your family or group. The resort also features ice skating and snow tubing. Snow making is on 100% of the skiing terrain. Get a link for Beech Mountain Ski Resort and all the latest NC skiing news, including a ski resort locator map, on the NC Ski Resort Guide. November 30 - Appalachian Ski Mountain (ASM) opens for the 2012-13 season with the first 100 people at the ticket window getting a FREE ticket. The ASM Ski Slopes will be open Friday, Saturday, and Sunday from 9 AM to 10 PM. and Monday for day skiing. Ice skating will be open at noon for 2 hours sessions through 7 PM. The Alpine Ski Shop will be open during skiing hours over the weekend, and from 8:30 AM to 4:30 PM daily next week. Appalachian Ski Mountain: Opening day for 2012-13 season set for November 30. Beech Mountain Ski Resort: Opening Opening day for 2012-13 season set for November 30. Cataloochee Ski Area: OPEN with 7 slopes, 2 lifts on a base of 14-36 inches. 9 AM - 4:30 PM. Wolf Ridge Ski Resort: No 2012-13 opening day announced yet. November 30: Beech Mountain Ski Resort opens for the 2012-13 season with hours 9 AM - 10 PM. Beech's new equipment is making lots of snow. Ice Skating will also open at with the first session at noon. Get a link for details on the NC Ski Resort Guide. At last - cold temperatures and snowmaking have arrived at ASM and the new projected opening day for the 2012-13 season is November 30. Appalachian Ski Mountain plans to open as much terrain as possible Friday. The additional snowmaking tonight will determine exactly what Slopes are open - check back for updates on slope conditions. As usual on Opening Day, Appalachian will be offering the first 100 guests at the Ticket Window FREE ski tickets. Ice Skating is also scheduled to open, beginning at 12 Noon. Get a link and more details for Appalachian Ski Mountain on the NC Ski Resort Guide. The base is 8 - 30 inches on 2 slopes with 1 lift. Snowmaking is in progress and Ice Skating is open for 2 hour sessions from 10 AM through 8 PM. November 23 - Cataloochee Ski Area will operate three sessions from 8:30 AM - 10 PM, with skiing from midstation down on Lower Omigosh, Over Easy and Rabbit Hill on a base of 8"-18" and a loose granular surface with some thin spots. Enjoy the start of the holiday weekend on the NC Ski Slopes. Modified holiday rates of $50 for adult and $40 for juniors for day or twilight skiing and $25 for either adult or junior for night skiing in effect from November 23 through November 25. Day, twilight, and night skiing on 11/23 and 11/24. Day skiing only on 11/25. Snowmaking weather is predicted to return as early as Friday night and continue through until next week, allowing snowmaking to resume soon. November 19: Sugar Mountain open for daytime skiing with 2 slopes and 1 lift on a base of 9-30 inches. Ice skating session at 10, 12, 2, 4, 6. November 19 - Cataloochee Ski Area is open today for skiing on 3 trails with 2 lifts on a base of 14-24 inches. Hours are 9 AM - 4:30 PM. Sugar Mountain Ski Resort is open for skiing and ice skating. Skiing on 2 slopes with one lift and a base of 9 - 30 inches. Half day and full day rates are offered. Get links for NC Ski Resorts, slope conditions and weather forecasts on the NC Ski Resort Guide. 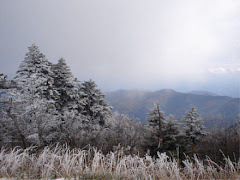 November 17 - Sugar Mountain Ski Resort opens its Ice Skating for the 2012 Season today with sessions at 10 am, 12 pm, 2 pm, 4 pm, 6 pm and 8 pm. Daytime skiing is open with full and half day sessions. November 17 - Cataloochee Ski Area will be open from 8:30 AM until 4:30 PM, skiing from midstation down on Lower Omigosh, Over Easy and Rabbit Hill, lift tickets are $35 and again...guests unhappy with conditions will be given a FULL refund after making one run if not satisfied with the slope base and conditions. November 15 - Both Cataloochee Ski Area and Sugar Mountain Ski Resort are open today for daytime skiing. Cataloochee offers 2 slopes with 1 lift on a base of 6-12 inches. Sugar Mountain has 2 slopes open with 1 lift and a base of 6-26 inches. Get links and details on the NC Ski Resort Guide. Appalachian Ski Mountain has announced a postponement of their planned Opening Day, November 16. Although the weather has been somewhat seasonal for early November, sustained temperatures have not yet dropped in the range needed for productive snowmaking at Appalachian. More information regarding snowmaking, ice skating, and opening day will be announced as soon as it becomes available. November 14, 9 AM - Cataloochee Ski Area re-opens for daytime skiing from midstation down on Lower Omigosh and Rabbit Hill. Lift tickets are $30 and any guests unhappy with conditions will be given a FULL refund after making one run. More than one run will be considered acceptance of current conditions. . Spend Thanksgiving at Sugar Mountain - for one low price, you can ski or ride any 4 sessions during the the 4 days of the Thanksgiving weekend, November 22-25, 2012 for just $115. This special offer expires Monday, November 19, 2012 at 3 PM. If Sugar is not open because of weather, you can ski or ride any 4 non-holiday weekdays throughout the year. To purchase your Turkey Treat call 1-800-sugarmt x261. Get details about Sugar Mountain Ski Resort on the NC Ski Resort Guide. November 12 - Sugar Mountain Ski Resort and Cataloochee Ski Area were open last weekend but are closed and "on hold" awaiting a drop in the temperatures to resume snowmaking. Colder weather is predicted in the next few days. New this season at Cataloochee Ski Area season pass holders receive three FREE days of skiing or riding with no black out days at Monarch Mountain. One Pass passholders receive three FREE days of skiing or riding with no black out days at Cataloochee in return. Visit http://skimonarch.com/ for more details! Even more reason to become a CAT (or Monarch Mountain) season pass holder this year. Monarch Mountain is located in south central Colorado and serves up an average of 350” of all natural snow. Families love Monarch because of the friendly staff, ease of parking, and how the slopes funnel everyone back to the same base area. Experts love the challenging hike-to terrain of Mirkwood Basin and the Monarch Snowcat Tours. November 10-11: Sugar Mountain Ski Resort is open daytime skiing on 2 slopes with 1 lift on a base of 7-29 inches. Full day rate adult-$30, child $25; half day $25/$15.